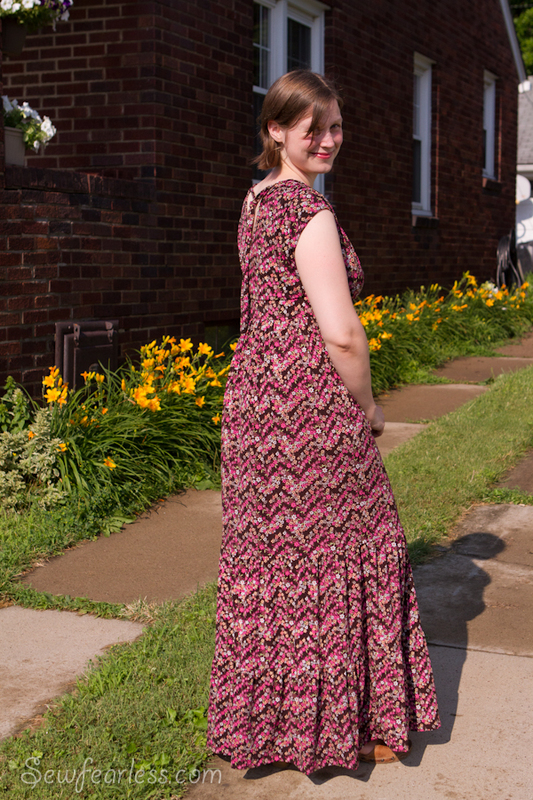 I’ve never been one to wear long dresses, because “floor-length” skirts hit me awkwardly above my ankle, and I hadn’t thought to sew one for myself until now. It turns out, I LOVE them. 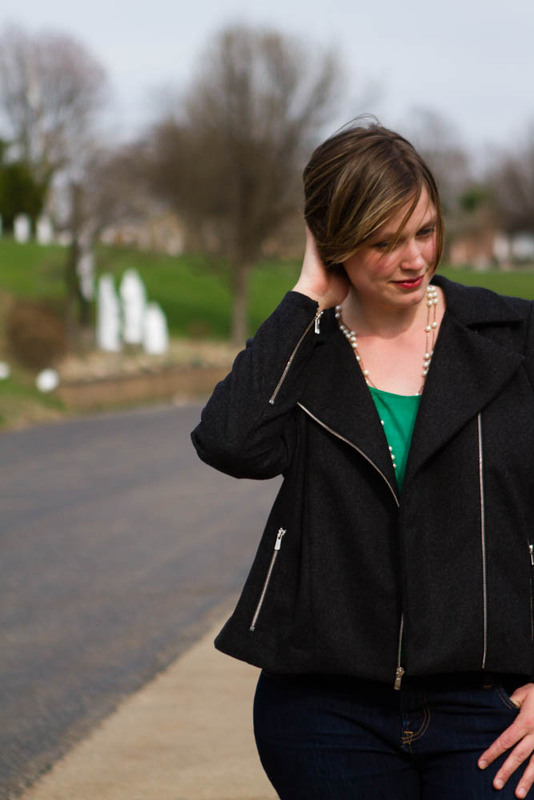 All that slippery polyester jersey swishing around my ankles feels elegant, and it looks so dressy, even though it is as easy as putting on a pair of PJs. Win! Oh no! Our neighbor is on his front porch watching our little photoshoot! I feel so ridiculous! Quick hurry up and take the picture, honey! Another problem with RTW maxi dresses, they all are spaghetti strapped. I am not a spaghetti strap kind of gal. Commercial patterns have the same problem. Or if they do have thicker straps, I haven’t been a fan of the skirt. So, I found a style of top I liked (McCall’s 6070) and changed up the skirt. 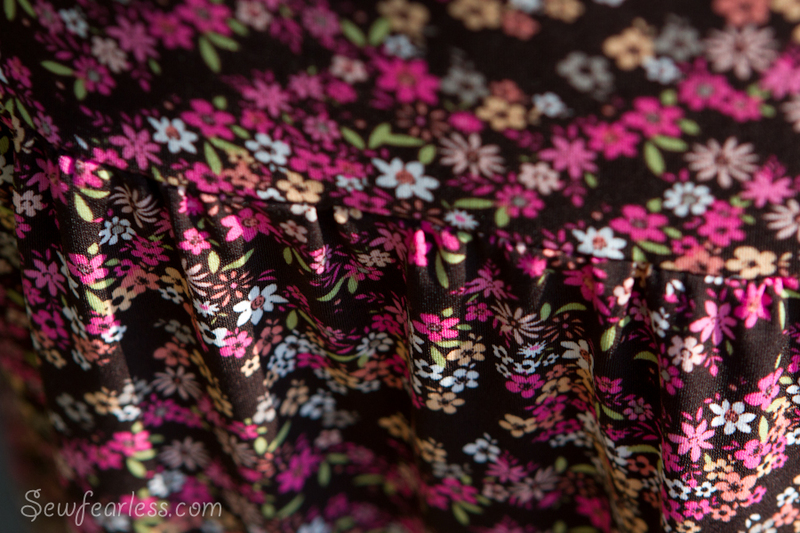 These tiered skirts are really easy to make. Including 1/2″ seam allowances, the top-tier was made up of two rectangles 24.25″ high by 30″ wide, the middle 12.75″ high by 42″ wide, and the bottom 13″ high by 59″ wide. After a 2 inch hem, it hits just above the floor when barefoot. I haven’t worn a dress or skirt this long since my wedding day. 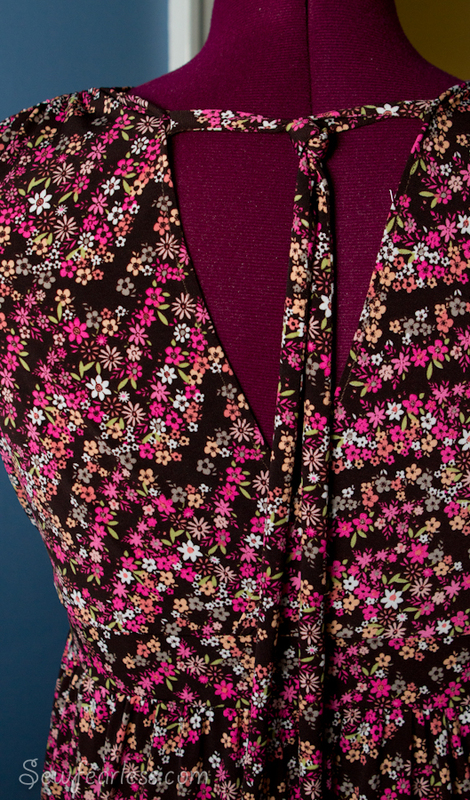 This pattern has some really lovely details. Like the gathers across the shoulders and the tie in the back. But wait, Jodi! Why did you call this dress as the “Nursing Ninja”? It’s not even black! Well, I added some super sneaky nursing openings to it. I’m not a fan of “pull to the side” necklines of nursing tops. They always stretch out of shape for me, and leave me feeling WAY to exposed on top. If all those changes were not enough, I also tried my hand at a “FBA”, a full bust adjustment. According to Palmer & Pletsch, my top size is a 14 and I should adjust it out to a 18 in the bust. (Thank you, Gladys.) and a 16 in my lower ribcage. (And we aren’t even going to talk about my size 20 hips.) No wonder nothing ever fits! 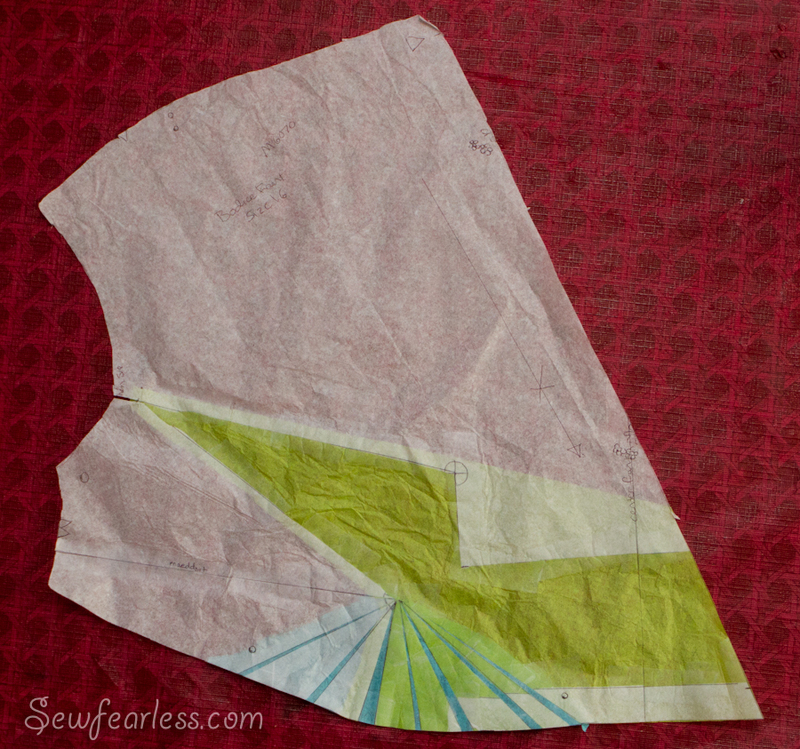 I traced off a size 16 bodice (front & back), and added 1 1/2″ to width of the bust at the “apex” using this method. (Added tissue is in green) This adds a dart to the side. So I moved it to wear the original gathers are similar to here. (Added tissue in blue). The finished result fits me fairly well. It is still a bit baggy along the neckline. I’m not sure why. No worries though. I’ll get better with practice. If would like to share any FBA tips, I would love to hear them. Fabulous work 🙂 Love it! I like the name you’ve given it too… I need more ninja skillz. hey. 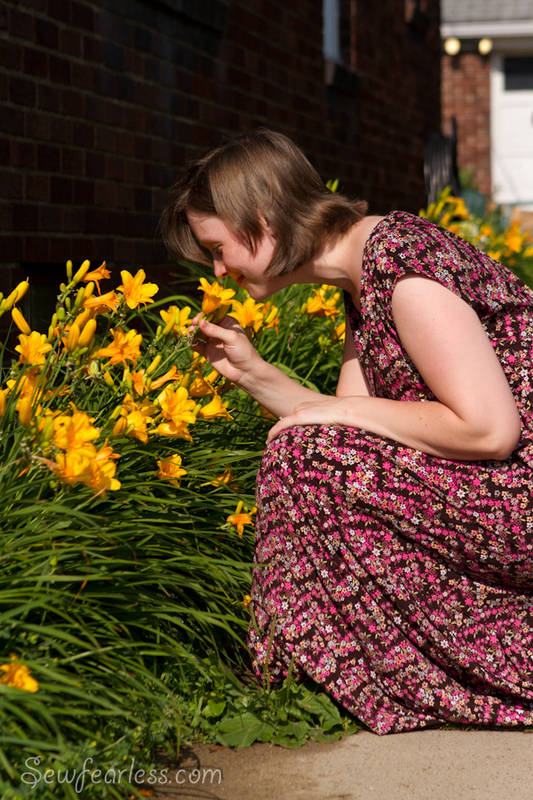 If you can’t have fun on your own blog… where will you have it? I’m glad you like it. This is beautiful- am learning to sew myself and am very impressed with your skills! Thank you! And good luck in your sewing endeavors. I’m impressed! 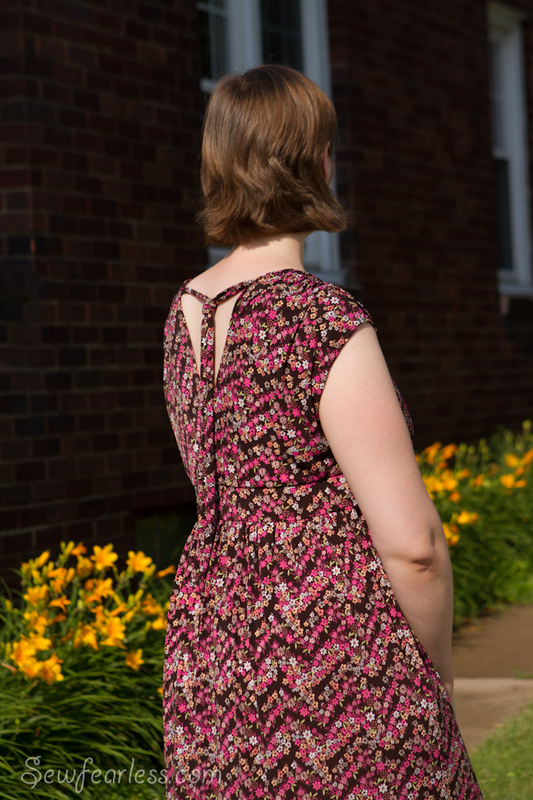 Knits AND a full bust adjustment in the same project. Lesser sewists would balk at dealing with just one of those elements. And to top it off, you made it into a ninja dress that allows you to nurse discretely. Nice work! It would be more impressive if I succeeded at the FBA. 🙂 But I’ll never learn if I don’t try. 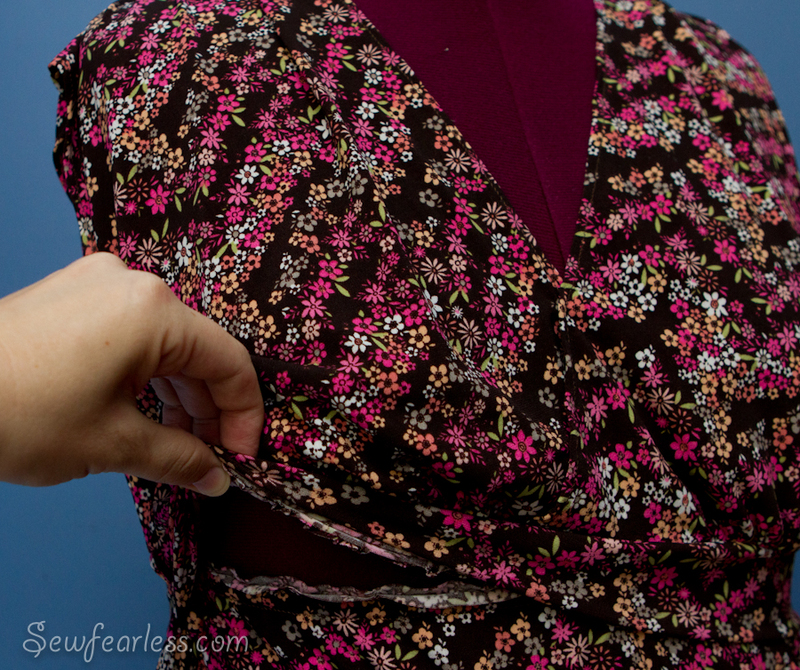 sometimes it’s better to “not know” when it comes to things that you’re not “supposed” to do when sewing…. you figure out a new way and it makes more sense than whomever was saying “Don’t do it! !” in the first place…. I’ve learned so many things from blogs like yours, and the wonderful thing in blogging is that very rarely do you have a grouchy granny standing over your shoulder saying “That’s not the RIGHT way, stay away from knits, etc…” And then you find out that knits aren’t easy, but they’re not too bad either! Oh, and I’ve GOT to make some of your ninja tops. They are awesome. oh my goodness, you look beautiful! LOVE, LOVE the dress. must have! Super cute! I wish I had time to sew I’d love one of these. I haven’t been able to find nursing dresses I love. I adore long skirts and am longing for a maxi dress. And I love the thicker straps and tie in the back. I really don’t understand why maxi dresses have such tiny straps. It really is strange to me. Ooh pretty! I like that idea! Now if I can only fins a nursing dress I like. And unbury my sewing machine…. I love this dress — gonna bookmark it and look more closely when it’s not storming out. Beautiful, Jodi! I just love the dress, and the photos are so sweet and dear. Fantastic!! I am not a spaghetti strap kind of girl either. 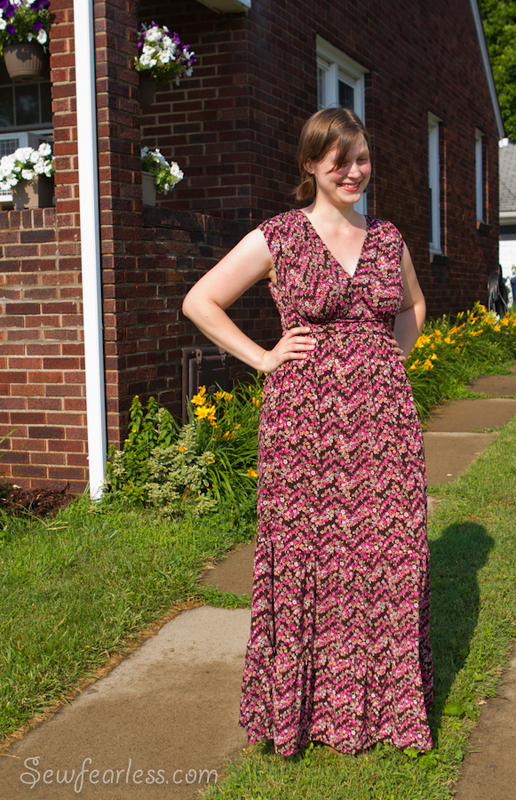 LOVE the maxi on you!! Great job making it nursing friendly! !